Tomigusuku Fair at Michi-no Eki Toyosaki showcases fresh produce and live performances in a family friendly atmosphere. 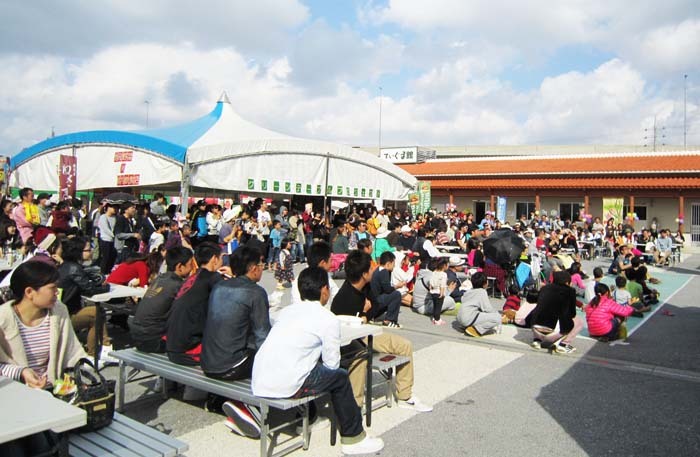 After the year end holiday season, the months of January and February are a bit slower on Okinawa, and that perhaps is a reason that many local municipalities organize their business fairs just then to promote their products and services before the start of the new tourist season. Tomigusuku is one of the major fishery centers on the island. The 3rd Tomigusuku City Business Fair has about 60 local companies, stores and cafes of the city showcasing their best products. The festival that takes place this weekend offers visitors such highlights as a free mini tomato grabbing event starting at 10:30 on both days and a riding experience on heavy construction machines. 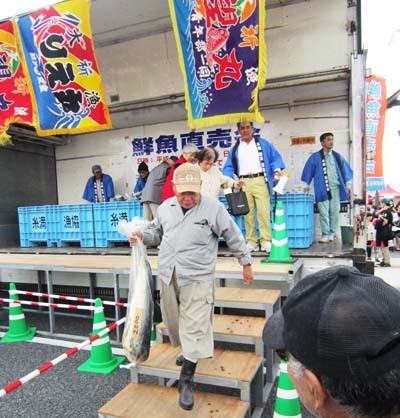 There also is a special sale of fresh fish, and a number of local stores in the city make original dishes using local products and vegetables for people to sample. Besides local products and service there is live entertainment on stage both days, such as Eisa at 10:30 and Southern Band live music performance at 17:20 on Saturday and karate at 10:30, Miracle Princess children’s show at 12:30 and Johnny Ginowan All Stars playing at 17:20 on Sunday. 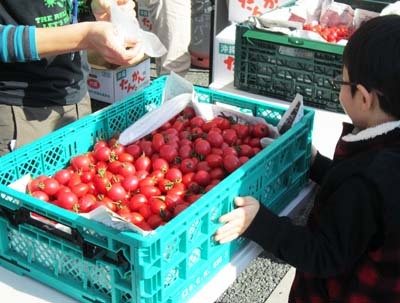 Free mini tomato grabbing event is one of the highlights of the festival. The fair is open on Saturday and Sunday from 10:00 to 19:00 at Michi-no-Eki Toyosaki at 3-39, Aza Toyosaki, Tomigusuku City. Admission to the fair is free.